It seems like just yesterday when everybody on CNBC was saying “here’s why the stock market could crash like 1987”. 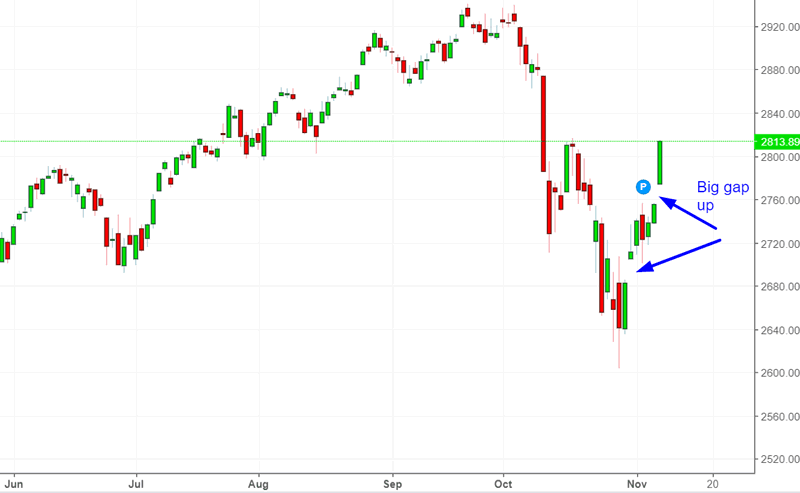 Even if this is the start of a bear market, the S&P will bounce and retrace 50-61.8% of its decline. Bear markets don’t go down in a straight line. 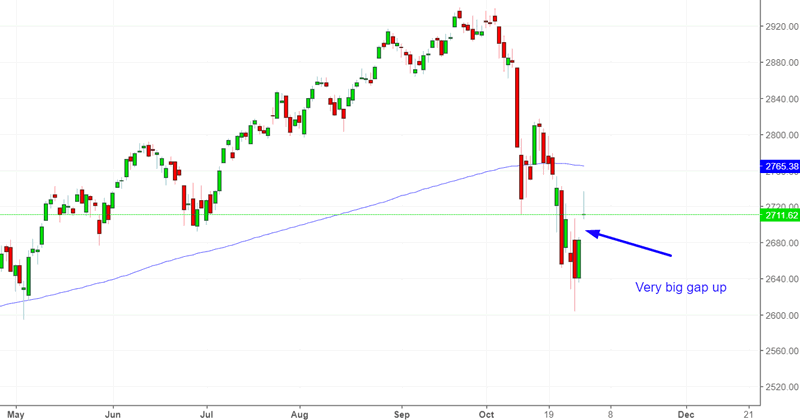 If this is a bull market’s correction (much more likely scenario), the S&P will bounce to 50-61.8%, make a short term pullback, and then rally higher. We are sticking to the bull market case right now. The S&P 500 made a big gap up yesterday. Conventional technical analysis sees such big gap ups as “bear market symptoms”. That is factually incorrect. Here’s what happened next to the S&P 500 when today’s daily LOW is more than 0.5% above yesterday’s daily HIGH. As you can see, the stock market tends to do well 6-9 months later. None of these cases occurred in a bear market. Because while bear markets often see big gap ups on the opening bell, a lot of these gaps are immediately filled by massive intraday swings. The S&P 500’s breadth has made a rapid recovery. The % of stocks above their 200 dma has reversed, along with the stock market itself. While the data is limited, you can see that the S&P tends to do well over the next 2 months. 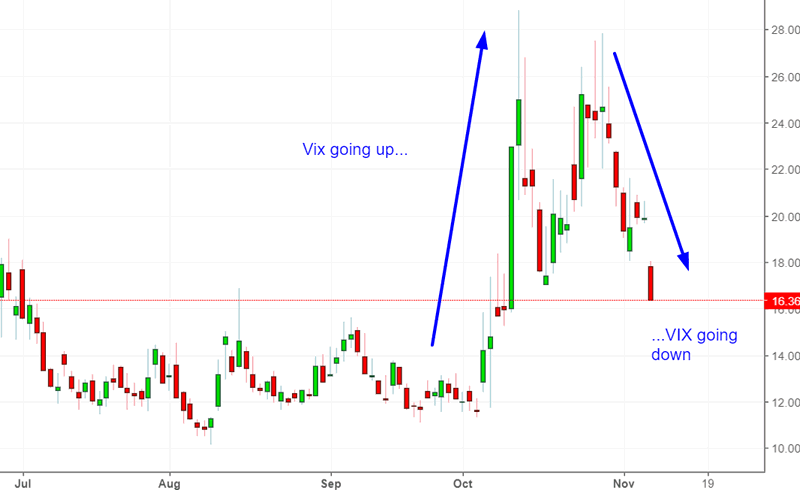 VIX has made a roundtrip. It spiked, and is now falling. As you can see, volatility usually continues to fall. *Volatility and the stock market move in the opposite direction. The short term is slightly bearish. There’s a slightly >50% chance that the S&P will fall in the next 1-2 weeks. This probability isn’t exceptionally high, so I wouldn’t bank on it.